Musical portraits of Dover by composer Nigel Clarke form the centrepiece of an evening of music and art at Dover's historic Maison Dieu on 20 May 2016. Clarke has collaborated with poet Malene Sheppard Skaerved and the evening will include the world premiere of Pulp and Rags based on Dover’s paper industry, and Dogger, Fisher, German Bight, Humber, Thames, Dover, Wight inspired by Dover’s maritime history. INSPIRATION=DOVER will be both a concert and exhibition celebrating Dover’s heritage though the eyes of contemporary artists. The performers include violinist Peter Sheppard Skaerved and musicians from the Longbow string ensemble. The programme also includes the world premiere of David Gorton's Lachrymae Variations (on a Theme by John Dowland). 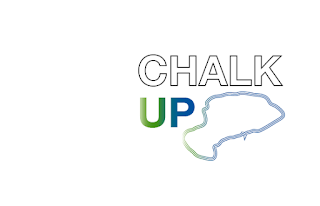 INSPIRATION=DOVER is the final event of Chalk Up, a one-year cultural tourism pilot led by Dover Arts Development (DAD) organised under Culture Kent. It presents the culmination of two years' research by fourteen artists who have been exploring the WW1 collections and archives in museums and heritage sites across Dover District. The resulting art works will be exhibited, together with objects from their host museums' WW1 collections, in the Maison Dieu's historic rooms on 20 May 2016. Full information from the concert website and the Dover Arts Development website.